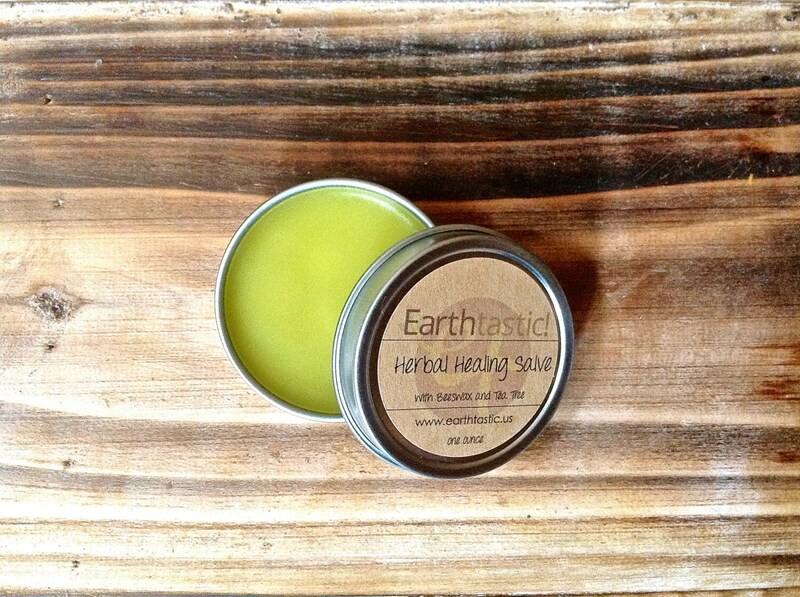 This 100% Natural Herbal Healing Salve contains healing herbs infused into skin-loving oils to bring relief to your skin in a plethora of ways. This is a great natural skin care product that can be used as a daily moisturizer as well. The consistency is quite lovely, not too hard or waxy. 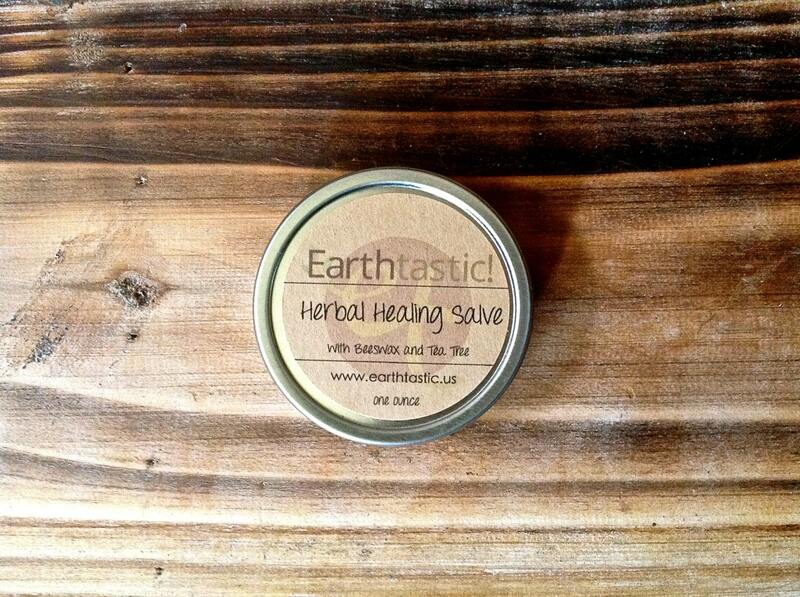 This listing is for one 1oz tin of Herbal Healing Salve. Olive Oil: Nutrient rich in vitamins A and E, Olive Oil is high in antioxidants and promotes healthy cell regeneration. Also very gentle on the skin, this oil is highly moisturizing, and aids in healing wounds and other scars because of its natural chlorophyll content. Organic Jojoba Oil: Closely matches our skin's oils making it easily absorbed without feeling greasy, this oil is said to be very nurturing and beneficial to the skin. This oil is used commonly in natural body care products. 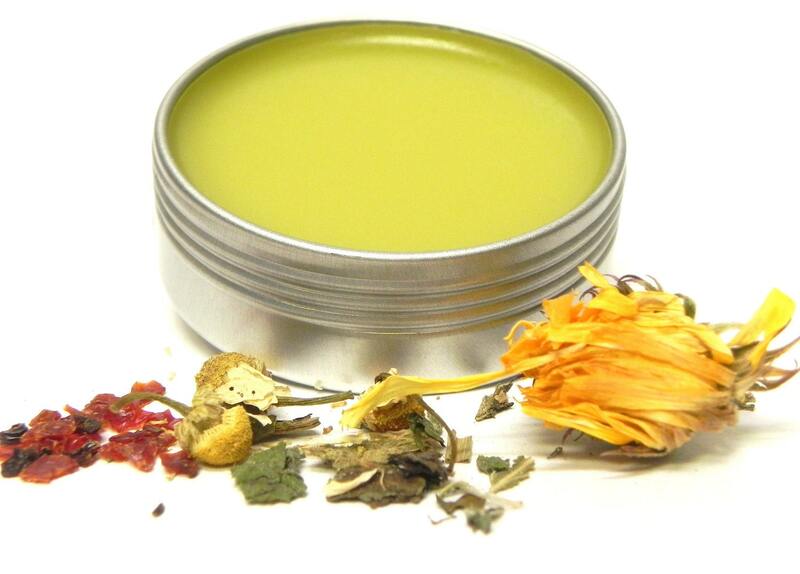 Calendula: Known for treating infections in the skin, calendula is also an anti-inflammatory and anti-bacterial making it extremely useful in healing not only injuries but problematic skin in general (ie: eczema, dry/chapped/irritated skin). Organic Comfrey Leaf: Said to be used to reduce pain and swelling from bruises, pulled muscles etc., this useful herb promotes cell regeneration and healing. Organic Chamomile: Intensely soothing on the skin and used as a way to ease the discomforts associated with allergy aggravated skin, chamomile is anti-bacterial, anti-allergenic, and anti-inflammatory. It is also said that chamomile may speed the healing process of wounds and burns. 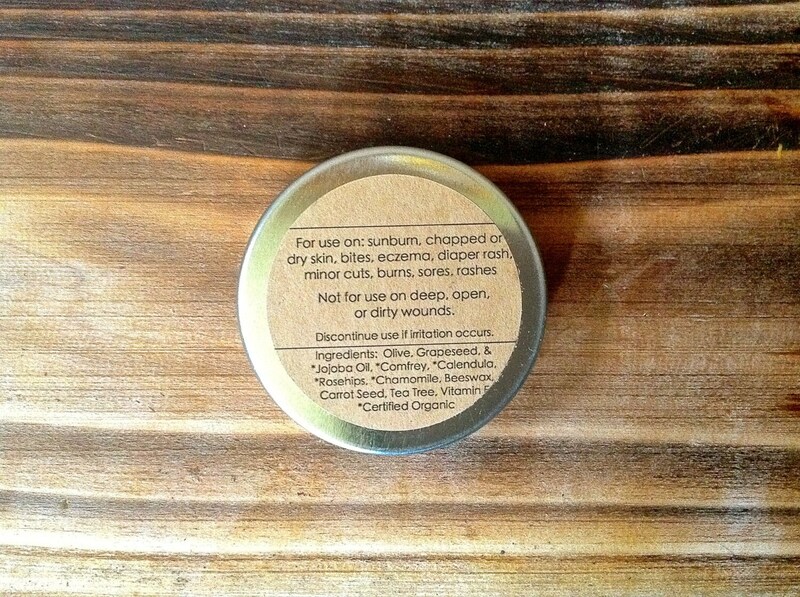 Beeswax: An effective ingredient that locks moisture into the skin preventing excessive dryness. Tea Tree: Anti-fungal, anti-bacterial, and anti-viral, Tea Tree Oil has long been used for infection prevention, and encourage healing in minor cuts and wounds. Carrot Seed Oil - Believed to remove toxins from the skin and to aid in skin irritations such as psoriasis, rashes, etc. This information has not been evaluated by the Food and Drug Administration and I do not claim to diagnose or cure any diseases. Some resources claim that Comfrey is not intended for pregnant and/or nursing mothers. Please research and educate yourself before making a decision about this product. I will ship internationally. Please contact me for a quote.